In electro technology and medical diagnostic technology, state-of-the-art power semiconductors are constantly creating new ways to implement processes, to improve them, and to make them more energy efficient. Common key features of modern power semiconductors are high currents, voltages and frequencies, low losses to be dissipated, and high reliability and load cycle stability. Important applications for power semiconductors in technological power supplies include welding equipment, plants for generating plasma for coating processes, inductive heating systems and power supplies for medical diagnostic facilities. Processes in electro technologies are very energy-intensive. The need to control high currents leads to relatively high energy losses in power electronic actuators. Reducing these losses therefore contributes directly to higher energy efficiency. At the same time, attainable process features are dependent on the features of the power semiconductors and the options for the circuit topologies. 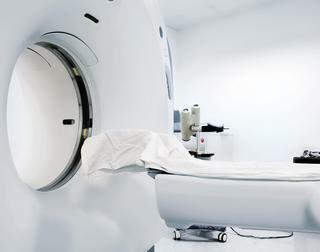 Examples include the surface finish of plasma coating, the homogeneity of an inductively melted material, the properties of a welded joint, or medical examination methods with low side effects, such as CT (computer tomography) and MRI (magnetic resonance imaging). SEMIKRON products have been used in power supplies right from the outset. They have proven their reliability in this context and contributed a significantly to the further development of power supplies. Since the application "Power Supplies" includes a wide ranges of voltage, current and switching frequencies, almost all of SEMIKRON's product range is suitable for this purpose. Examples are power modules of the product group SEMIPACK for rectification of the input and output voltage, IGBT power modules, such SEMITOP, MiniSKiiP, SEMITRANS, SEMiX and SKiiP IPMs and SEMIDRIVER to control IGBTs.